"For the grace of God has appeared, bringing salvation to all men" (Titus 2:11). 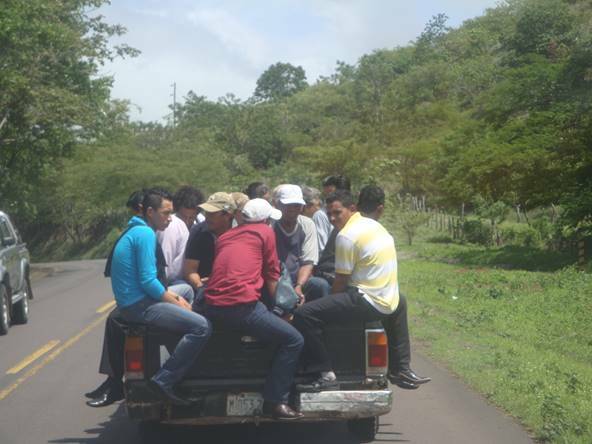 Abide in Christ trains church lealdes who have a passion to open new doors in rural areas of Nicaragua. 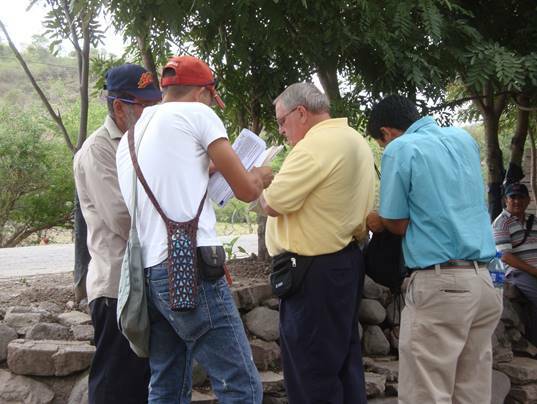 Jerry Starnes and Wil Pounds taught personal evangelism and went door-to-door with members of abide in Christ Baptist Church in Esteli, Nicaragua. Over a hundred individuals made first time decisins for christ during the two weeks of ministry with Aristides Bustillo. Jerry began the first week preaching an excellent message on Ephesians 2:1-10. 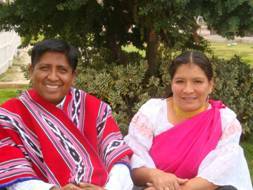 Abide in Christ began this new ministry two yeas ago with Aristides. 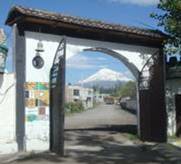 It meets int he garage of his rented home. 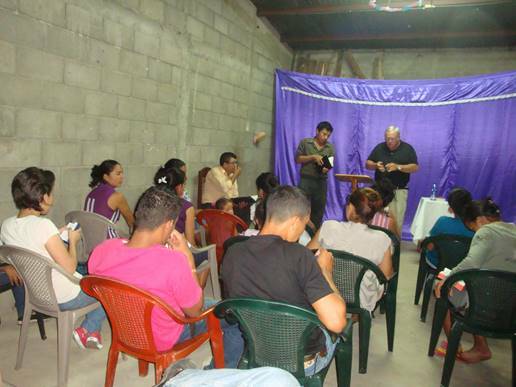 Sunday during the day, Wil taught new material on Jehovah's False Witnesses in Aristides' church. Sunday night we began a three day evangelism conference at Emaus Baptist Church. 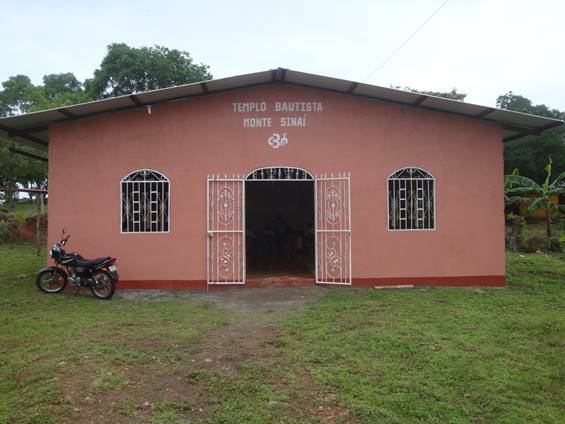 At Nueva Guinea, near the Costa Rican border, I taught personal evangelism to an enthusiastic, well-educated group of church leaders from several communities. 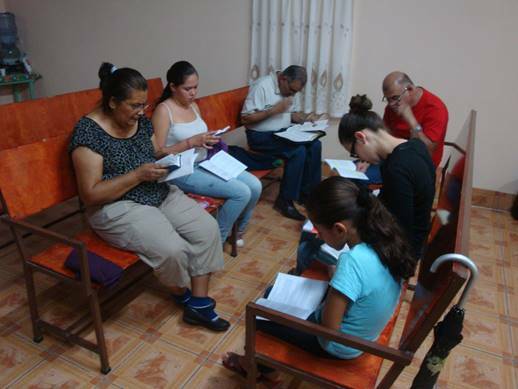 One of the small groups studying eternal security at the evangelism workshop at Emnaus Baptist Church in Esteli. 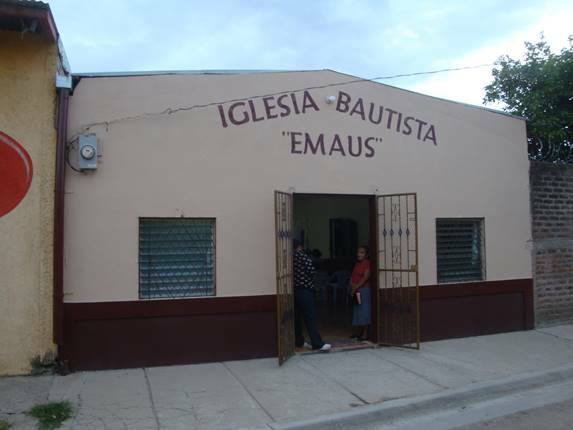 Evangelism workshops held at Emaus Baptist Church. 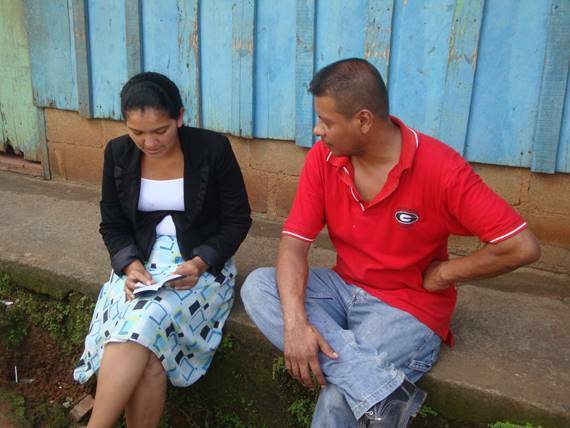 Aristides and a pastor's daughter giving a demonstration on personal evangelism. 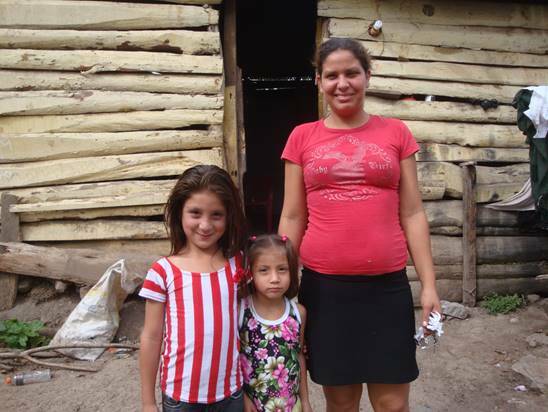 Mother and daughter accept Christ as their Savior in the rural community of San Pedro. This is a mission of the Abide in Christ mission in Esteli. Some of the leaders from 7 churches studying personal evangelism at Nueva Guinea. Abide in Christ personal evangelism training in Nueva Guinea. 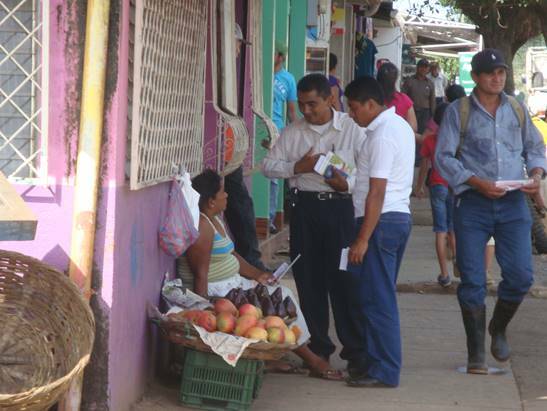 Two pastors from Abide in Christ evangelism class sharing Christ with a woman vendor on the street. Abide in Christ evangelism training participant sharing Christ with a man. 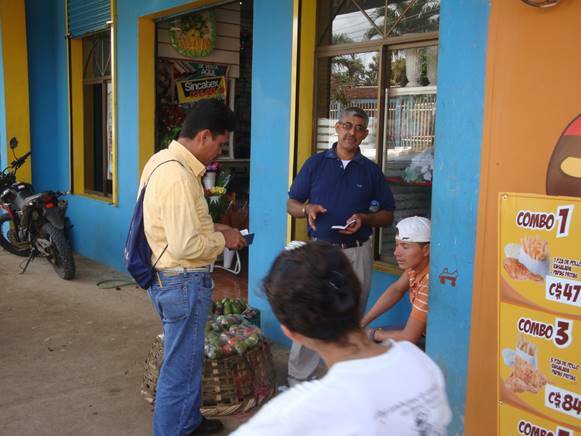 Two pastors in Nueva Guinea witnessing to men on the street. 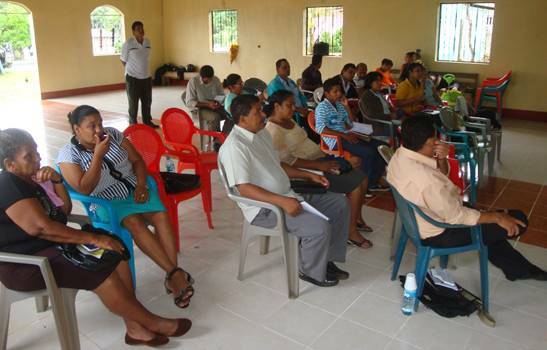 We held a workshop for several churches at San Carlos on Lake Nicraragua near the Costa Rican border. 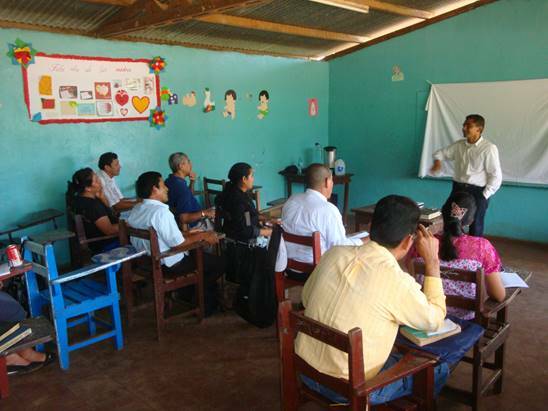 Abide in Christ evangelism training at Mount Sainai Baptist church in San Carlos, Nicaragua. 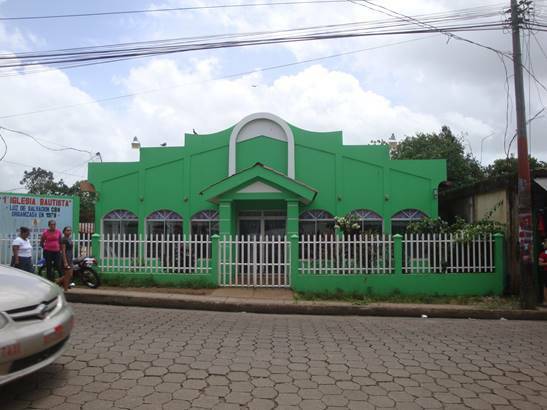 Mount Sinai Baptist Church, San Carlos, Nicaragua. Come go with us ... to Abide in Christ personal evangelism training somewhere near you. Pray daily for the work in Honduras, Nicaragua, Ecuador.